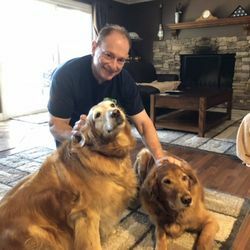 When John Meier migrated from the harsh winters in Milwaukee, Wisconsin to warm Southern California in 1988, he brought along his business, Meier's Carpet and Upholstery Cleaning, and seized the opportunity to operate it on a year-round basis. The Anaheim Hills based company applies a steam cleaning process to deep clean carpets, area rugs and upholstery for soil, spots and odor removal. Other services include tile and grout cleaning and a 24-hour emergency water damage and clean-up service is also available. "This economy provides challenges for even the biggest of companies to keep their doors open, let alone small independent businesses," said Meier. "I am enormously grateful and want to thank the many customers in Orange County that have used Meier's Carpet & Upholstery services over the past 30 years, especially to the residents and businesses in Anaheim Hills who have repeatedly used our services." The company services homes and businesses in Orange and Riverside counties and parts of Los Angeles. "Our business strategy has remained relatively simple over the years," Meier said. "Treat our customer's home as if it were our own and provide a carpet cleaning service with superior results at exceptional, upfront prices."